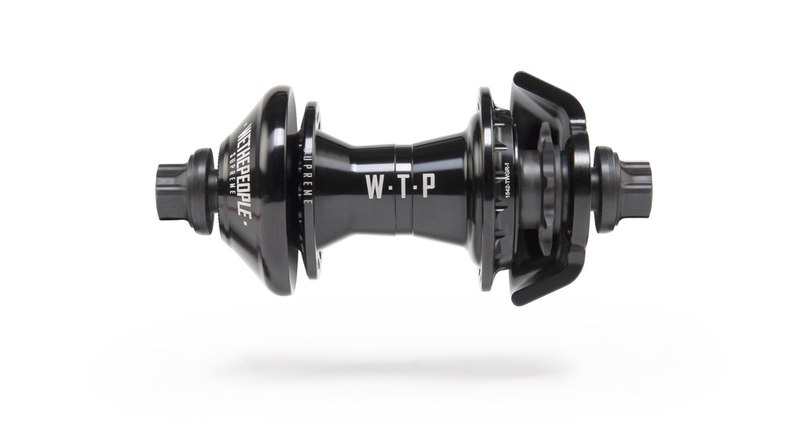 Inside the Supreme hub — WETHEPEOPLE BIKE CO.
For those of you who have been asking, (and you were asking) here’s a look at the unique internals of the new WTP Supreme cassette hub. You can see here that they are quite different from a traditional cassette hub. The Supreme uses our Q-Lite inverted system. The Q-Lite system uses pawls and springs inside of the hub body, instead of on the driver. This allows us to double the amount of pawls, which not only makes the hub much more reliable, but also puts less stress on the pawls and springs, allowing the hub to roll smoother and for longer. 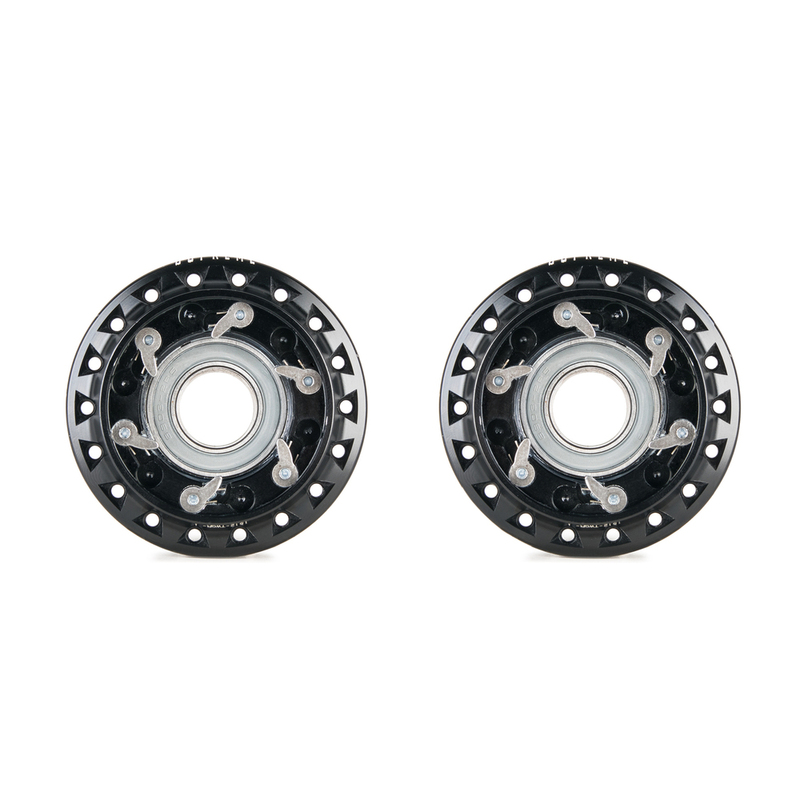 This system has the benefit of letting you switch the drive side of the hub very easily. Simply take out each of the 6 pawls and springs, and put them back inside the hub in the other direction. Because the ratchet is now on the driver and uses a square tooth design, you don't have to swap anything over. This is easily the most reliable and durable switch driver system yet. The hub uses an IGUS bushing driver; a German made bushing that has far less resistance and more durability than most bushings. The bushing driver eliminates the need for bearings, allowing us to use a larger diameter 17mm axle all the way through the driver, a part where most hubs go down to a smaller diameter to accommodate the bearing. This makes the hub incredibly strong, and perfect for use with pegs. Another cool feature we did with the Supreme Cassette hub is that we added an extra hub bearing on the non-drive side, this technology is used in downhill mountain biking, and allows the hub to roll much smoother, for much longer, despite big impacts and long-term stress. The Supreme hub uses a very unique axle setup. We use a 12mm bolt instead of a 14mm bolt that other brands are using. We found that by using a 14mm female bolt, although the axle is bigger in diameter (17mm) it has to be much thinner to accept the larger 14mm bolt. This often causes the axle to break and snap. By using a 12mm bolt, the 17mm axle gains an extra 2mm of thickness and becomes near unbreakable. Because of this we need a special 12mm female bolt with a 14mm head to sit in the dropouts. I hope you are following. The hub comes with 2 kinds of bolts, one set for peg less use, and one set for peg use, where the 14mm step is larger to accept the extra length that plastic pegs take up. We’ve tested this hub over the past year and we are yet to brake an axle or bolt (despite trying!). The Supreme Cassette hub and matching front hub is available now from your local bike shop or mailorder. 7075-T6 alloy hub guards are also available, with Nylon-Fibreglass hub guards coming this Summer.